Real Glass Crystal Ornaments Large - Set of 2 - 3 1/2" & 4 1/2"
K9 Real Crystal Garlands 3/4" beads, 12 Feet Total Length. Make sure to view the video where we've shown you how you can elegantly mix this strand with our High Quality Acrylic Pendants! We've taken on the challenge of finding the best, top-grade quality crystal beads for you and we're proud to say, mission accomplished! 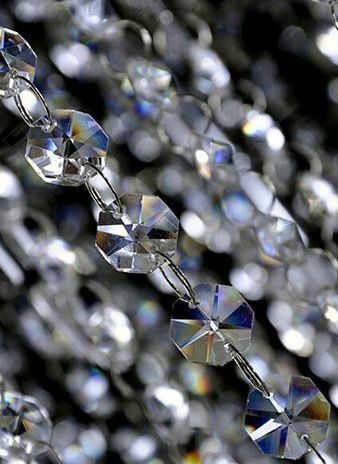 Known for superb quality and optimal shine, our 12 foot long K9 Crown Glass Crystal Garland Strands will create exquisite Decor for Weddings, Events and Parties! These crystals will throw rainbows all over the room. They are unbelievably beautiful. You can mix our extremely high quality Acrylic Pendants and add them to the bottom of crystal strands. They will look STUNNING, even at the bottom of real crystal strands: High Grade Acrylic Pendants are Here. Our K9 Crystal is not the "too good to be true" crystal. It's the real deal, at a great price. They are absolutely stunning and we sell them to our biggest and most discerning famous event planners. 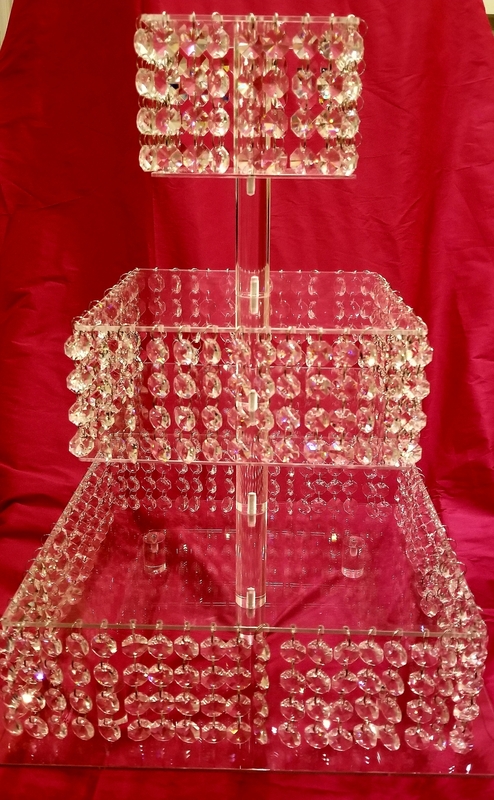 If you're finding them elsewhere for a "cheap" price - be assured that you're going to be buying "glass" and not the superior Crystal that we are offering here. 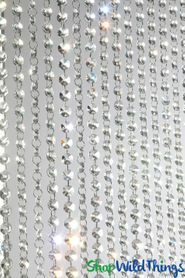 These Genuine Crystal Beaded Strands offer superior clarity, outstanding brilliance and the precision faceted surfaces on the octagon shaped beads is truly dazzling! The quality in their appearance is obvious but you can literally feel and hear the difference! The beads are 3/4" (18mm) in diameter by 3/8" thick. Each strand is 37 - 39" long and you will receive 4 strands for a total length of about 12 feet. Using these gorgeous garlands, you can decorate with the utmost confidence and knowledge that these crystals will perform beyond your expectations! These classy jewels are so beautiful that it's actually hard to stop staring at them! 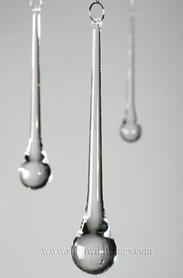 The beads are faceted on both sides and the light refraction is incredible! Using the jump rings, you can connect all the strands or alternate with our larger 1/2" K9 crystal bead strand. You can also easily remove the jump rings and use the beads by themselves to fill a vase, a candle holder or champagne glass. For a quick centerpiece, sprinkle some beads on a mirror with rose petals and a flameless candle, colorful tea lights or fairy lights. Each bead has 2 tiny holes so you could replace the jump rings with monofilament line, making them ideal for adding that extra dazzle to bouquets or to dangle from floral arrangements for added glitz. 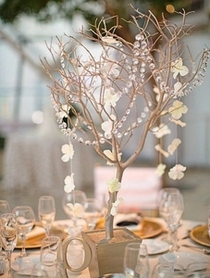 Swag from centerpiece trees or manzanita tree branches. 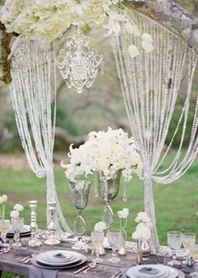 Create an elegant table runner by placing these crystals on our lighted LED bendable organza ribbon. 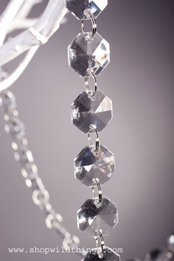 For artistic set decorators, inspiring wedding and event planners and those imaginative DIY types, with your creativity and our top-of-the-line K9 Crystal Beads, event magic is at hand! I used these to create my cupcake tower. I love how clear the crystals are and they are such good quality! 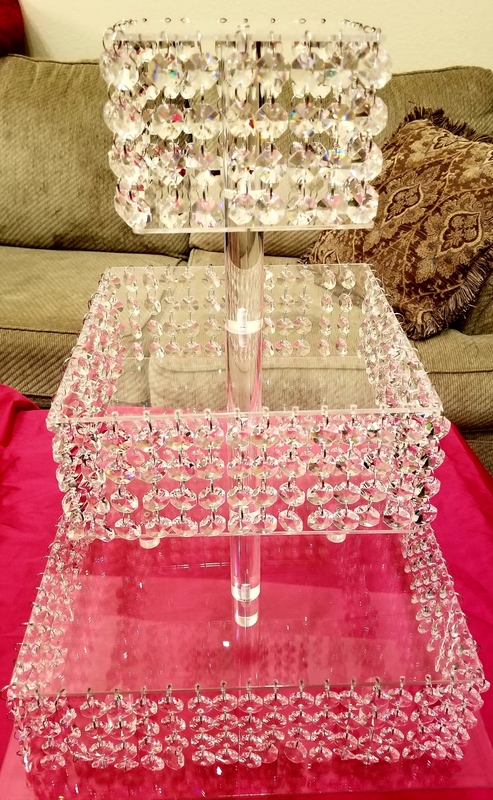 I received many compliments on my tower and the crystals. ProsExcellent quality, easy to take apart and attach! It is a great product that every body loved it when displayed. Actually we placed a big order and cant wait to see the project completed. fast delivery. I used the garland to put down my chandelier chain. Really sparkles! Anyone who wants to perk up your chandelier or anything else should buy this. Easy to work with and looks really great!! The garlands are beautiful as described. The customer service was wonderful. I highly recommend working with this company.